The continuous positive airway pressure device, which consists of mask and headgear in addition to the machine and hose, comes in many styles and sizes. You have a wide array of choices from which to comfortably treat your sleep apnea. It is, thus, an easy matter to choose the best CPAP mask in Toronto’s stores simply because of this wide range. However, you must remember these few pointers on the different types of CPAP masks and what needs each one caters to before going inside any of these stores. This type of CPAP mask in Toronto’s stores feature nasal pillows that are placed beneath the nostrils, which delivers the constant and steady air pressure from the machine. The whole mask is, in turn, kept in place by side straps. This is a good CPAP mask for people who are claustrophobic because of its open design. Unlike the full-face mask, you can have a full field of vision that will allow you to watch television shows or read books even when you are wearing it. Of course, you can also wear your eyeglasses because the nasal pillow mask looks like the scuba-diving equipment that allows room for goggles! If you are claustrophobic, this type of CPAP mask in Toronto’s stores is also for you. The mask, which is kept in place by straps resembling a ball cap, does not cover the whole face but you might have a little difficulty in reading. If you are a side sleeper, which is recommended for the treatment of sleep apnea, or a stomach sleeper, you will like this mask because it has no side straps. 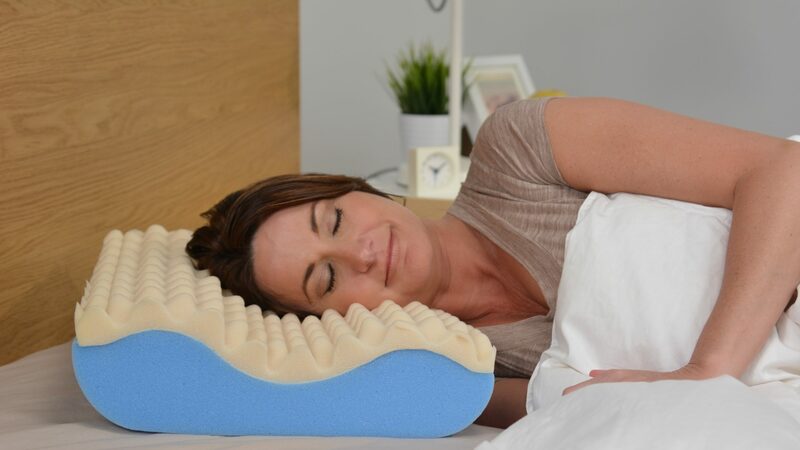 You can even purchase a pillow interface that allows for more comfort. So far, this is one of the most secure CPAP mask in Toronto’s arsenal of sleep apnea masks. The mask that covers the whole nose delivers the steady air pressure needed to treat sleep apnea, which in turn helps to suction it to the face while the machine is on. The side straps at the forehead and mouth levels keep the mask in place. If you are a restless sleeper who toss and turn in bed, then this mask is for you. The secure suction action and the double side straps ensure that the mask stays in place even with the changes in sleeping positions. This is also good for sufferers whose air pressure must be maintained at high levels. The suction keeps the air inside the mask; otherwise, skin irritations, dry mouth, dry and stuffy nose and teary eyes can result from the leaky mask. Though this is by far the most secure CPAP mask in Toronto’s stores, it can also be the most claustrophobia-inducing, not to mention the most difficult to adjust to. The mask covers the whole nose and the mouth with side straps at forehead and mouth levels, which can eerily look like something out of an alien-themed movie. However, you will appreciate this mask for its benefits like easier breathing through the nose, secure attachment to the head area, and relief from muscle and lung problems. With these pointers in mind, you are now better equipped to scour the best CPAP mask in Toronto’s stores that will suit your needs! For your needs in sleep apnea mask in Toronto, visit SleepServices today. There you can choose the best CPAP machine in Toronto and the most appropriate CPAP mask in Toronto that you need to treat your sleep apnea. Visit them now!